To the ears of young music fans like my nine-year-old son, who’s growing up on Nicki Minaj, “Doom and Gloom” may sound as archaic as those old Victrola ditties sound to me. But in the broad terms that are often all that matter in rock-and-roll, “Doom and Gloom” has the feeling, the pulse and the swagger, of a solid late-period Stones rocker. Keith Richards slashes a Keefish riff, a variation on the chorus to Deep Purple’s “Woman from Tokyo,” over an impeccable and deceptively simple-sounding groove by Charlie Watts. 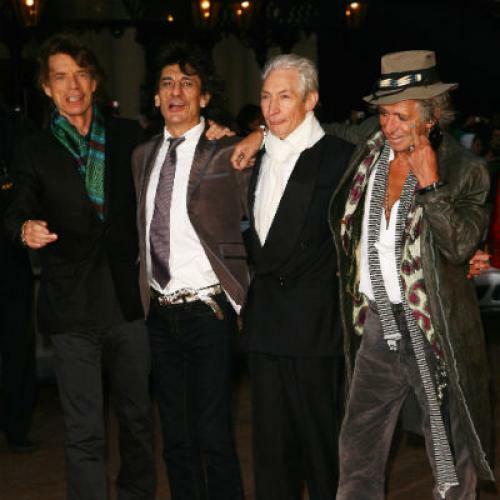 The band sounds like the Rolling Stones, and at their age, that’s an accomplishment. "Doom and Gloom," written primarily by Mick Jagger, is one of two new songs recorded by the Stones this year for inclusion in a fifty-year retrospective collection due out just in time for holiday gift sales. The second track, “One Last Shot,” which has not yet been released (or even leaked, as far as I know), was written primarily by Keith Richards. "Doom and Gloom" is made mostly from one chord, and the tune of the verses is essentially one note—not that that’s a failing, in itself. Plenty of other Stones songs exploit the possibilities of a single note (or near-note). So do a thousand punk and hip-hop songs; so did Louis Armstrong in his solo on the seminal recording of “West End Blues”; so did Cole Porter in the verse to “Night and Day”; so did Harold Arlen in the refrain to “Come Rain or Come Shine”; and so has Bob Dylan in dozens and dozens of songs since “Subterranean Homesick Blues.” Jagger, like both Armstrong and Dylan, is an interpretive artist with the skill and audacity it takes to extract a scale’s worth of colors in just one note. With “Doom and Gloom,” though, the fuel of Jagger’s audacity—his ego—is burning too hot, as it can do when Richards doesn’t cool it down with spit. The lyrics are not much more than a soup of images and references intended to sound funky, sort of American, and smart: a Louisiana swamp, zombies, fracking, and a costly overseas war. Jagger, whose voice is much too high in the mix, overwhelming the band, groans about “feeling kind of hurt” by all the doom and gloom, as he puts “feet up on the couch” and locks the doors. Somehow, this leads him to the single lamest chorus ever written by a great songwriter: “Baby, take a chance/baby, won’t you dance with me?” Jagger comes across as detached and kind of desperate—a victim not of zombies or war but of the insatiable ego that, according to Keith Richards’s memoir, may be Jagger’s greatest endowment.